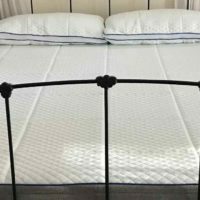 Loom and Leaf Mattress Review | A Great mattress for an Amazing price. The Loom & Leaf mattress is a hidden gem in the confusing bedding industry. The mattress boasts some impressive materials and technology. Especially impressive when you see just how inexpensive it is. 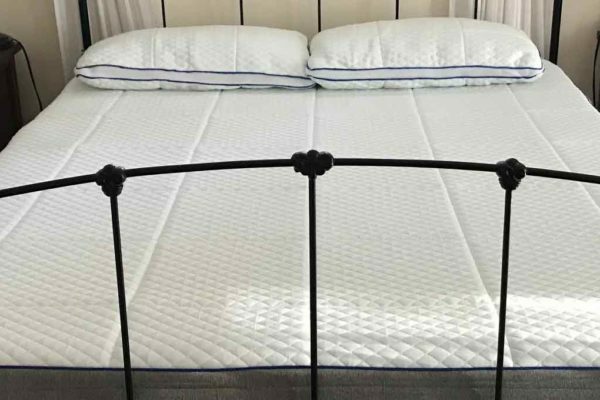 Read our Loom and Leaf Mattress Review and see why you need this bed. The Loom & Leaf mattress is a product of Saatva. Saatva offers two versions of the Loom & Leaf, the relaxed firm and the firm. For our review, we researched the Loom & Leaf relaxed firm. The relaxed firm had a firmness of 6 out of 10 (10 being the firmest). Customers report the mattress had a great feel when first laid on. The top 6 inches of high-quality foam give a comfortable feel. That support and comfort ratio is what makes this mattress so nice. Saatva did a great job finding a good mix of softness with support. The soft top layers become gradually more firm as they transition to the firm supportive layers beneath. The result is a comfortable sleep that doesn’t create and pressure points. We found no complaints from users about soreness or joint pain. We found only around 1 inch of sinkage as we researched for this Loom & Leaf mattress review. This depth is shallow, but should give sleepers just enough softness. You rest lightly on the top instead of sinking into the bed. There was little horizontal movement with the Loom and Leaf. Firmer mattresses tend to transfer motion from one sleeper to the other. Saatva mattress COOLNESS and Off-Gassing. This mattress sleeps cool. Loom & Leaf has put a lot of research and technology into the cooling of their bed. 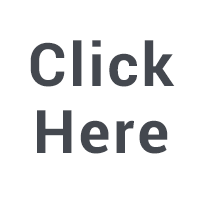 The top 2″ of the mattress is a special gel infused foam memory foam layer. The gel is specifically designed to take the heat and pull it away from the sleeper. Saatva went a step further and included a thin layer of medical gel on top of the memory foam. We have heard of no off-gassing when customers open the mattress. Any slight small you do find should be gone within the first few hours. Mattress smell shouldn’t be an issue with the Loom & Leaf. The construction for this mattress is high quality in our opinion. The mattress is 12″ tall, 2″ taller than most of its competitors. We were quite impressed when we took a look under the covers. 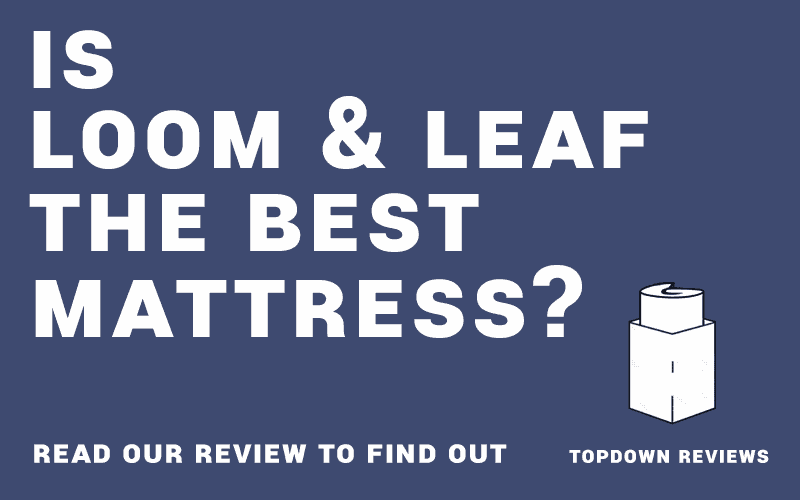 Read the construction section of our Loom and Leaf Mattress Review to find out more. Organic Cotton cover that is light and breathable. It includes natural thistle flame retardant to keep the sleeper cool. 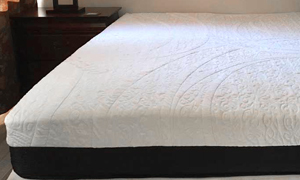 2″ of gel infused memory foam make up the top layer of this mattress. Loom & Leaf added an extra thin gel layer that gives an even cooler sleep. 2.5″ of memory foam form the second layer. 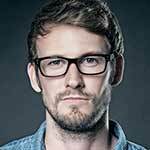 It blends the softer top layer with the firmer layers beneath. 2″ of transition padding that really begins to give support to the soft layers above. 5.5″ of High density support foam gives the firm foundation for the sleeper. Shipping 7-15 days. Delivery team will set up mattress. 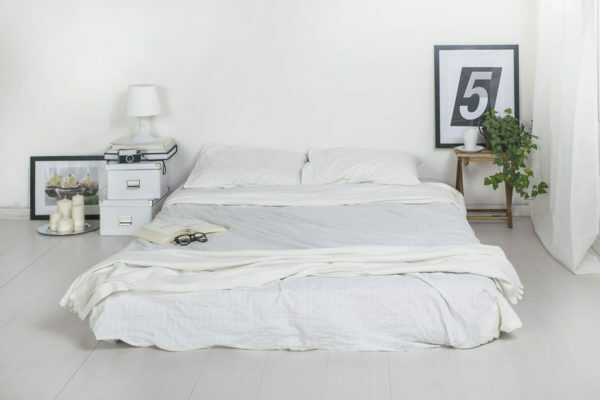 The Saatva company has produced a phenomenal mattress for a great deal. They don’t believe they need to offer a Loom and Leaf promo code to customers. We think their mattress is fairly priced. Go ahead and give it a try! 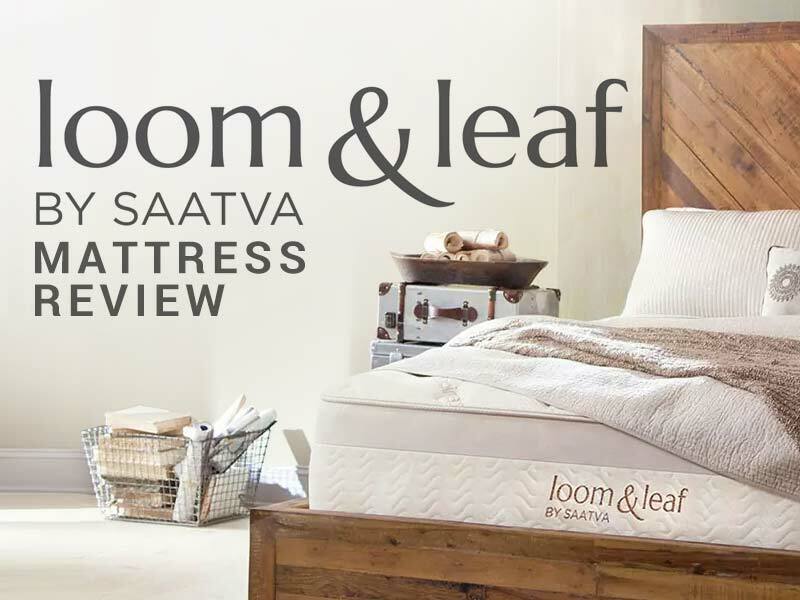 Saatva had produced a great mattress with the Loom & Leaf. Customers rave about how comfortable they sleep on this bed. The advanced levels of cooling technology are the topping on the cake. While we may not have a Loom & Leaf promo code for you, we think their product is well priced. Give the mattress a shot, you have 75 days risk-free! 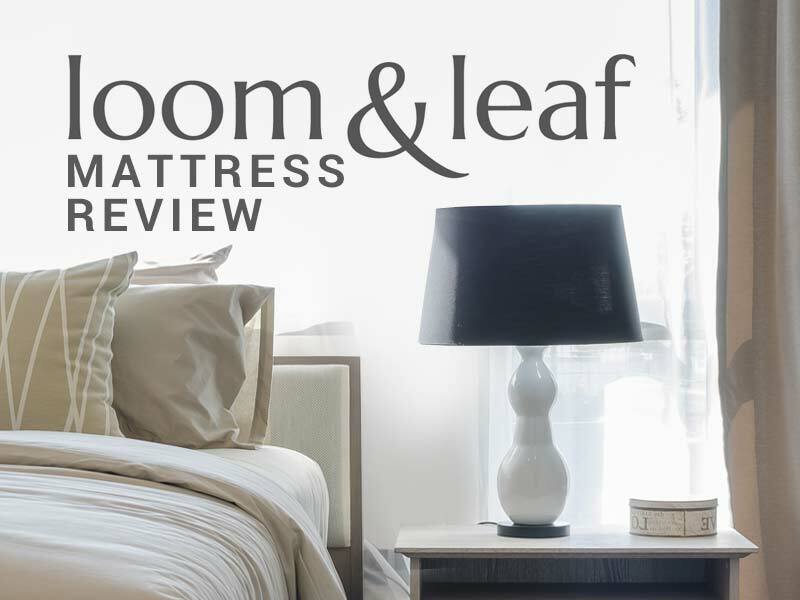 We hope you enjoyed our Loom and Leaf mattress review. If you have any suggestions or new mattresses let us know.